The woman who signed off on the destruction of evidence proving the CIA’s implementation of torture has been promoted within the agency. The undercover officer is now in charge of the CIA’s clandestine service – at least, temporarily. After former National Clandestine Service Director John Bennett retired on Feb. 28, the new official took over as the acting director and is widely viewed as a frontrunner for the position. Some have applauded the fact that a female faces the prospect of becoming the new head of the clandestine service for the first time in the agency’s history – but this woman’s past makes her a controversial choice. In 2005, she oversaw the destruction of more than 90 videotapes showing the harsh interrogation methods the CIA used against suspected terrorists. The footage was recorded at a secret prison in Thailand, where the agency brutally interrogated its subjects. The acting director, who is allegedly in her 50s and speaks multiple languages, is thought to have served as chief of staff of the former head of the clandestine service, Jose Rodriguez. According to former officials who spoke to the Washington Post, Rodriguez and the woman repeatedly asked for permission to have the videotapes destroyed and were always denied. In 2005, they went ahead with the destruction anyway, ordering their staff to get rid of the evidence. Despite this questionable decision, the woman now heads the clandestine service herself and may keep the position permanently if the agency decides to overlook her history. 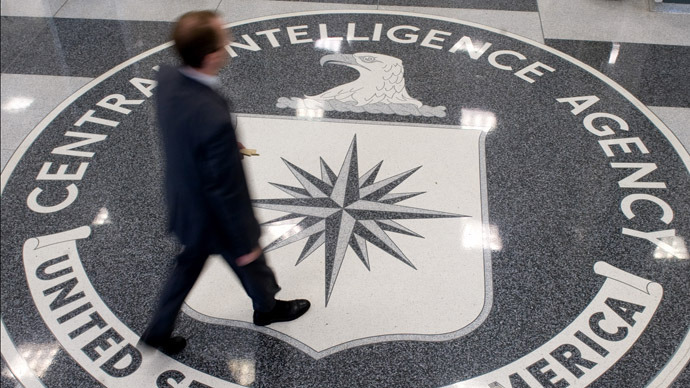 The position is crucial to the CIA’s operations, since it is in charge of sending American spies overseas. The clandestine service also runs the agency’s drone campaign. Due to an internal investigation regarding her involvement in the destruction of evidence, it is unclear whether the new director will remain in the position. Recently-appointed CIA head John Brennan, who was sworn into office this month, announced that he is evaluating several candidates for this position with the help of three former agency officers. “The director of the clandestine service has never been picked that way,” a former intelligence official told the Post. Some have begun to question whether Brennan may have discussed the open position quietly because of his own involvement in interrogation programs during the Bush-era. By announcing that he has hired former CIA officials to evaluate and review the qualifications of the candidates – including the acting director – he may be taking careful steps to avoid further scrutiny by those who have already accused him of being too involved in the CIA’s implementation of torture. Brennan himself faced tough questions by the Senate Intelligence Committee regarding the extent of his knowledge about the CIA’s controversial use of torture, including waterboarding and other painful interrogation techniques. “Given the importance of the position of the director of the National Clandestine Service, Director Brennan has asked a few highly respected former senior agency officers to review the candidates he’s considering for the job,” Preston Golson, a CIA spokesman, told the Post. Regardless of the results of the review, Brennan will still retain authority to choose the new director of the clandestine service. The promotion of the unnamed woman represents the latest case in which a CIA official with knowledge of the agency’s inhumane torture methods is rewarded, despite failure to stand up against the CIA’s wrongdoings.